If you drive a BMW and live in the Santa Barbara area, you are in luck! Consider the benefits of a BMW specialist. 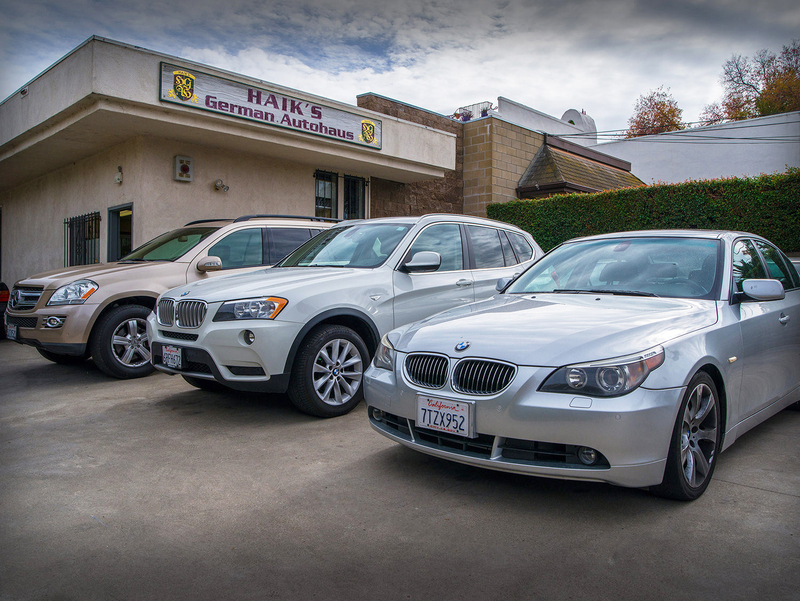 At Haik’s, we provide Complete Car Care for your vehicle. We have the tools, information and expertise to repair any problems your car may develop. 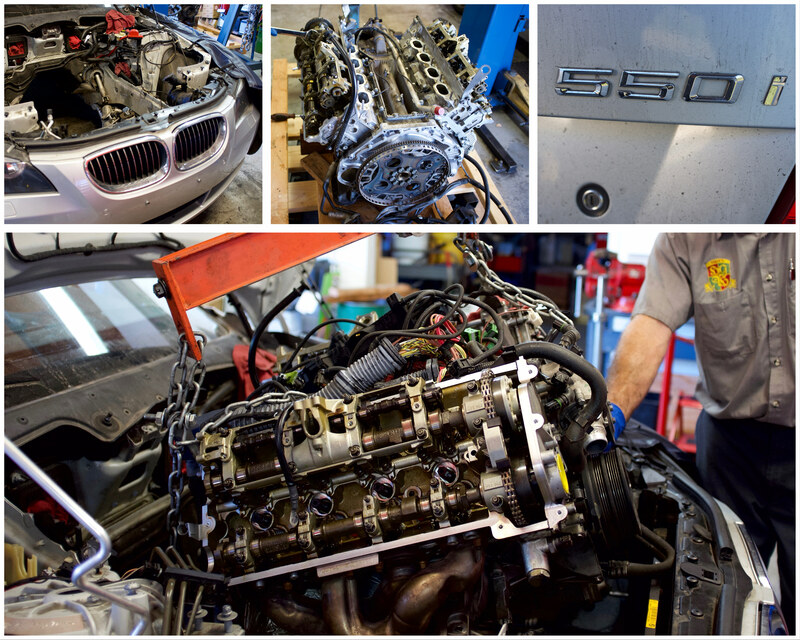 We also provide the services to keep your BMW in top shape and avoid break-downs and premature failure. Master technicians perform all repairs and services. All work is performed to manufacturer's specifications or above. Proper maintenance dictates that every system in your BMW be inspected periodically. In addition each system should be serviced according to an interval schedule. Inspection and servicing of these components will help maintain your BMW for years to come. Please call for an appointment or free consultation. For BMW Factory Service Schedules, see below. The system makes interval recommendations which vary with each driver based upon his/her driving habits. Rather than using fixed mileage interval as the basis of calculating the next service due, CBS uses fuel consumption as the basis to calculate the level of engine oil contamination, thus the need for an oil change in order to avoid excessive engine wear. An oil condition sensor is incorporated with the oil level sensor and oil temperature sensor in the lower oil sump pan. These sensors communicate with the engine’s computer. The information is processed algorithmically by the computer to evaluate the next service due. This data is sent to the instrument cluster control module which will warn the driver by illuminating the service light. Other services may be due at the same time. Harder, faster driving, putting the engine under greater load conditions such as going up hills, rapid acceleration and carrying or pulling heavier cargo, cause fuel consumption to rise rapidly. It also produces greater wear on other parts such as transmission, tires, brakes, etc. Hard driving conditions shorten service intervals, making more frequent visits to the repair shop necessary. Through the use of sensors and virtual sensors, CBS monitors most service items in the vehicle such as engine oil, spark plugs, front and rear brake pads, brake fluid, micro filter, air filter, engine coolant, etc. In cases where a sensor does not directly measure the condition of a wear and tear item, auxiliary variables are used, such as temperature, mileage, vehicle performance as well as other factors. The status of each of these service items can be read by the mechanic at any time. Service intervals for BMW are roughly every 15K miles. 15K is considered the average or “normal” schedule. Your particular driving habits will shorten or lengthen this service interval. *Most models follow a service table similar to the one below. The following service table is for the 2005 BMW 325i (E46 body) L6-2.5L (M54 engine). There is not enough room for all the service tables of every year and every model. We offer diagnostics for your entire car, no matter in which system the failure occurs. Steptronic is BMW’s automatic transmission with a dynamic sport mode which can be shifted manually if desired. This feature essentially transforms the six-speed automatic transmission into a six-speed manual transmission. Activate the Steptronic mode and use the gear selector to shift up or down. Or use the finger tip paddles on the steering wheel to shift, and keep your hands on the wheel. The two buttons on the front of the steering wheel (one left, one right) serve to downshift, the two buttons at the rear (one left, one right) serve to upshift. VANOS is BMW’s variable camshaft timing mechanism which adjusts camshaft timing for various driving conditions. Double VANOS utilizes the variable timing of both intake and exhaust camshafts. Auto makers BMW and Mercedes-Benz were the earliest innovators of what today is called electronic stability control (ESC). Both BMW and Mercedes introduced their first traction control systems in 1987. Traction control applies individual wheel braking as well as throttle control to keep traction during acceleration in order to maintain vehicle control. Unlike the advanced ESC system today however, it was not designed to aid steering. (Mercedes, working together with Robert Bosch, was first to add steering to the traction control system and called it ESP.) BMW developed the dynamic traction control system together with Robert Bosch GmbH and Continental Automotive Systems. In 1992 BMW applied this system to its entire model line up. Body sags in one or more corners. Air bag suspension problem, if so equpped. Check Engine Light, code reads coolant mapping, thermostat stuck open, but there were no cooling system symptoms or overheating. CV boots crack and leak front outer constant velocity joints of AWD (all-wheel-drive) vehicles. Smoke coming out of exhaust pipe (possible PCV failure). Try pulling off oil filler cap with engine running. If it is difficult, the engine suction is leaking through the PCV valve or valves. Thick smoke coming from exhaust pipe after idling for a period, then revving quickly. 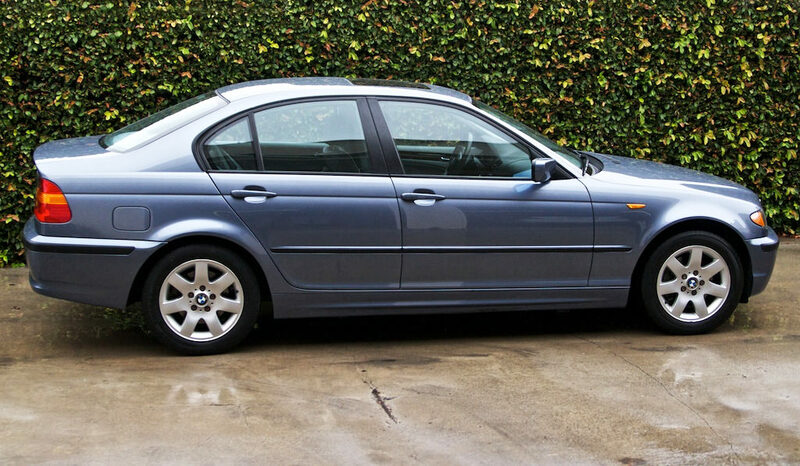 2006 BMW 550i. We suspected valve stem seals, but needed to run other tests to confirm. We found that the PCV diaphragms were torn and replaced them. But that did not correct the problem. We pulled the heads and found the valve guides were worn. We replaced the valve guides and valve stem seals and performed a valve job. End of story. Replacing the front CV boots on 4-wheel-drive BMW vehicles is an extremely difficult job. In order to replace the CV boots, the drive axle shafts must come off the vehicle. Whether it is the X Series, 3 Series, 5, 6 or 7 Series, xi or xDrive, BMW makes the tolerances between the drive axle shaft and the splined inner race of the wheel bearing so tight that it is an incredible chore to separate the two and even more difficult to drive the stub axle shaft back into the splined wheel bearing race when installing it. At Haik’s we have designed and built a tool for this task which even the BMW dealerships do not have. This cuts the work time down and saves the customer money. Dynamic Traction Control (DTC) BMW is the co-engineering partner and inventor with Robert BOSCH GmbH and Continental (TEVES). Engine Failsafe Program (“limp home mode”) See our Repairs page for details on "Limp Home Mode." Rotational Rate Sensor See yaw sensor or angular sensor on our Repairs page. VANOS See variable camshaft timing on our Repairs page. BMW was founded in 1917 during WWI as as aircraft engine manufacturer. It provided such powerful and reliable airplane engines that its contribution to the victories of Manfred von Richthofen (the Red Baron) and Ernst Udet, who claimed 80 and 62 victories, respectively, cannot be denied.